Here are some easy ways to help As Good as Gold while you shop! All funds raised go to help goldens in need. As Good as Gold (AGaG) merchandise is available to order on your desktop, tablet, or smart phone! The gear you buy helps us proudly promote our rescue efforts and a portion of the price directly funds As Good as Gold activities. 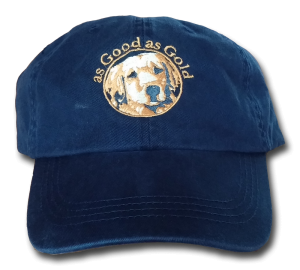 The merchandise selection includes AGaG logo apparel as well as “Got Goldens” and “Proud to be Owned by a Golden Retriever” clothing suitable for all Golden Retriever lovers. Convenient weekly shipping allows you to send items to your home, work or even to your friends — anywhere in the U.S; order status updates and tracking numbers will be provided. Encrypted credit card processing assures the safety of your credit card information. The site features fleece, long-sleeve, short-sleeve and polo shirts, hats, AGaG’s commemorative book and calendar, magnets and window decals and will regularly highlight clearance items. Visit our merchandise website to see what’s available! Our Zazzle store allows you to order custom-made, one of a kind items you won’t find on our merchandise site. Check it out! U.S. Bones donates 20% of the purchase price on orders of bones, rawhides and chews to support our rescue efforts as long as you select As Good as Gold as your designated charity when placing your order at www.usbones.com. Zeppa Studios donates 10% of your purchase price on a huge array of artistic products including note cards, hanging tiles, coasters, memo boards, mouse pads, sign boards, ornaments, and hand-painted ceramics. Customized products are also available using photos of your golden. To order click on the banner below. Amazon Smile is the charitable giving program of Amazon.com that donates 0.5% of the purchase price of eligible products to AGaG, when you designate As Good as Gold as your charity. Eligible products include most of the physical products sold through Amazon.com. To order and trigger the donation YOU MUST use the www.smile.amazon.com website, instead of the Amazon.com website. When you’re on this site, look at the product detail of items you’re interested in and there will be an indication if the purchase will result in a donation. 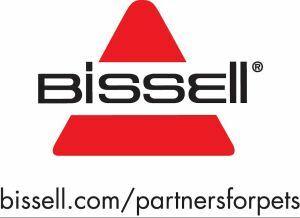 When you purchase any pet product on bissell.com, a portion of your purchase will be donated through the BISSELL Pet Foundation to As Good as Gold! Here’s how it works: 1) shop pet products on bissell.com; 2) enter the code ADOPT at checkout; and 3) Select As Good as Gold to receive proceeds from your purchase. AGaG will receive $2 for pet products under $40, $10 for pet products between $40-$99.99 and $20 for pet products over $100. Be sure to click on the Specials button before check out to save on select items and/or shipping! We do not endorse or recommend any particular products, treatments, services or diagnosis, whether specifically or generally, and professional advice should be sought in relation to all health and treatment decisions. We provide information and listings only which we hope are helpful, however full disclaimers and warranties apply.